We’ve met some pretty inspiring people over the years. Some have taken their families travelling around the world, while others have hiked across continents while in their 70’s. But the people who inspire us the most are those who have decided to leave the ordinary 9-5 lifestyle behind and pursue a life of freedom, travel and adventure. Below are 5 people who have found 5 very unique ways to live a financially sustainable life overseas. Hopefully you will find their experiences as encouraging as we have and perhaps you will consider a life abroad after reading their stories. If you’re already living abroad, then you will likely find some confirmation of your efforts in their words. A cycle enthusiast, coffee-lover and good friend of ours, Daryl was tired of the day-to-day grind of life in Canada and the US. He decided to move his family to Grenada, where he took two things he’s passionate about (coffee and cycling), and found a way to make money from them. 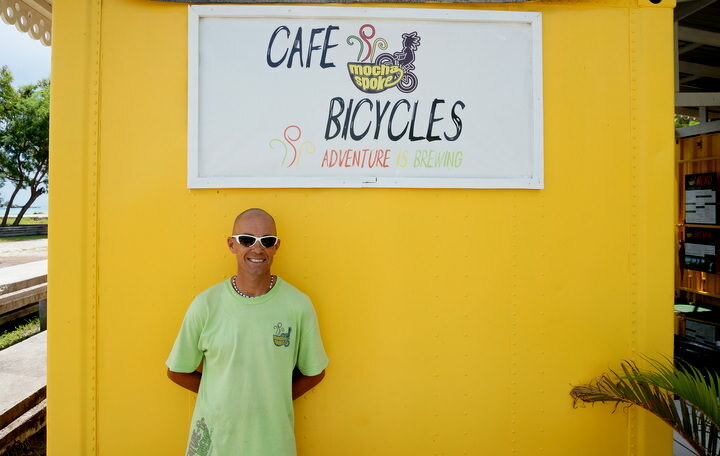 Darryl opened Mocha Spoke on the island – a bike tour company and cafe all rolled into one.. These days, the cafe is always buzzing with locals and American students who study at the nearby university and Daryl gets to do what he loves every day. Opening a business in the Caribbean has given him more time to spend with his family, in a country with stunning beaches and lush jungles to explore. Business is booming and Daryl has achieved his goal of “creating his own culture and following his true path”. He also has a great blog about his cycling life called Loving The Bike. Yara is a fellow blogging colleague of ours and she has found a very unique way to sustain her travels and live her life on the road. Yara is a full-time au pair. 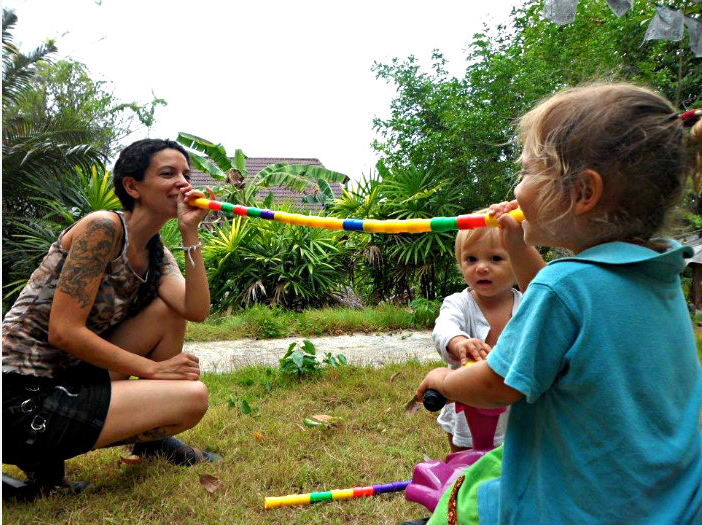 Unlike house sitting, you can actually make a pretty good living from becoming an au pair and Yara does just that. Wages can vary depending on where you work and what families decide to hire you, but the income was enough for Yara to pay for future travels around the world. If you love scuba diving, then you’ll love hearing about Sarah’s unique story about how she earns money to travel the world. 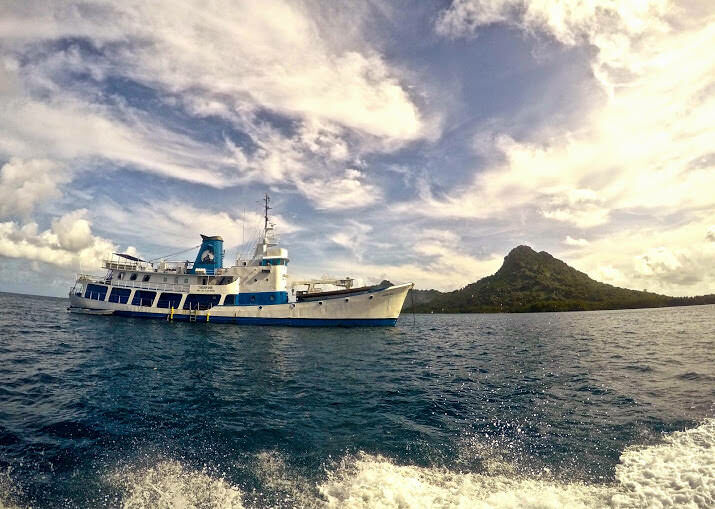 This dream was to become a dive master, earning money by leading dive groups out to sea. It wasn’t cheap getting certified, but now that she has a job, she’s able to live abroad and support her life with money earned by… that’s right… scuba diving! Now that she’s certified, she’s living and working in Micronesia, an idyllic group of islands in the South Pacific. She spends her days relaxing on the boat and going on scuba dives… not a bad life if you ask me. The wage isn’t very high, but it affords her the luxury of living in paradise. Rachel has been able to earn a pretty good living from her job as a masseuse and she’ll continue to do it as she travels around the world. She says that it’s a great exercise, she always has a beautiful view while she’s at work and the pay is comparable to the same work in the US! Our good friend Johnny has been teaching in China for three years and he loves his job. He started out as just a teacher, and in the short period of time that he’s lived in Yangzhou, China, he’s moved up to the academic manager for the school. Johnny is now in charge of teacher recruitment, teacher training, helping with school marketing and much more. He makes enough money to live in China very comfortably and save money as well. He sees himself living in China for many years to come. Although in Johnny’s position, he is expected to work 40 hours / week, regular English teachers at his school work under 24 hours / week, giving them lots of time to explore China. 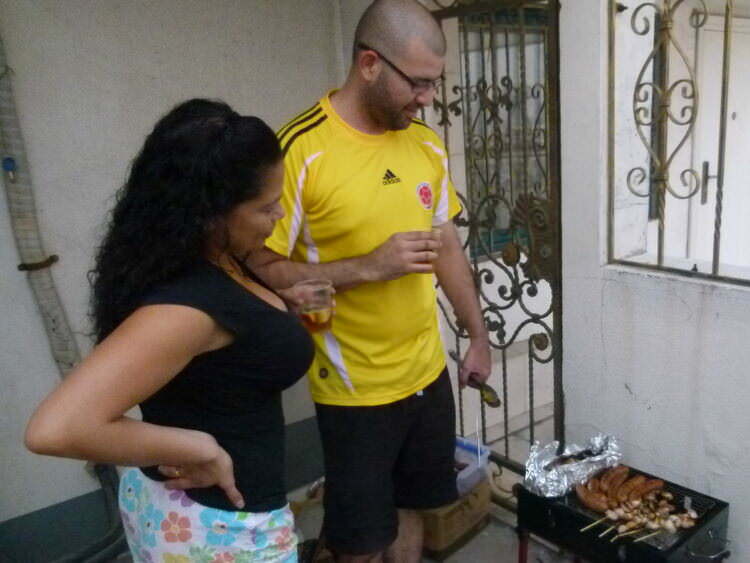 Johnny Enjoying A BBQ At His China Home With His Wife, Rose. With a salary of around $2500 USD / month, he’s doing very well for himself, especially because income tax and the cost of living in China is extremely low. Johnny is a great example of what can happen if you follow your dreams and work towards a new and exciting lifestyle. If you’d like to get a job teaching English in China, email us and we can arrange an interview with Johnny. All applicants must be first language English hold a passport from a native English-speaking country. There are many ways to support a life of travel and it helps to learn from others who are making their dreams come true. Hopefully these stories will inspire you to consider a new way of life. If you’re tired of the 9-5, try teaching, massaging, diving, au-pairing or opening a business! You never know how successful you can be until you try. Good luck! Are you, or someone you know, living a financially sustainable life overseas? How do they do it? Please share with us in the comments below. Don't subscribe All Replies to my comments Notify me of followup comments via e-mail. 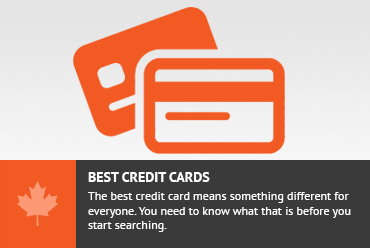 You can also <a href='https://www.creditwalk.ca/comment-subscriptions/?srp=4230&srk=2648578ecea05c83754707575dc5a494&sra=s&srsrc=f'>subscribe</a> without commenting.